Voters in Boulder, Colo. will decide in November whether to keep excess revenue generated by a tax on sugar-sweetened beverages. The Boulder City Council on Aug. 14 unanimously approved an ordinance asking voters whether the city can spend extra revenue raised by the 2-cents per ounce tax on distribution. An initiative committee estimated that the tax, which took effect July 1, 2017, would raise about $3.8 million. But actual projections peg the amount at about $5.2 million. Under Colorado’s 1992 tax-and-spending limitation amendment, the Taxpayer Bill of Rights, only voters can approve tax increases, and annual state and local government spending growth is limited to the rate of inflation plus population growth. Revenue collected in excess of the TABOR limit must be returned to taxpayers, unless they say otherwise. Revenue collected by ballot measures that exceed projected revenue estimates also must be returned. Various bottles of soda are displayed in a supermarket cooler. The ballot measure would cover excess revenue dating back to the soda tax’s effective date, and in every year thereafter. Revenue from the tax goes to fund health equity programs, including programs for people with chronic illnesses often linked to sugar consumption. The soda tax movement has mostly fizzled nationally, although it has had some notable victories in cities. Philadelphia’s soda tax was recently validated as legal by the Pennsylvania Supreme Court. The American Beverage Association had challenged the 1.5-cents-per-ounce tax. The soda tax movement launched in Berkeley, Calif., in 2014, and so far only cities, not states, have enacted similar taxes. 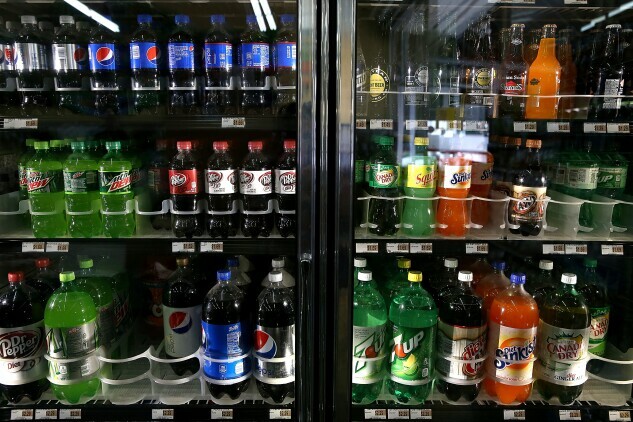 Cook County, Ill., which includes Chicago, repealed its soda tax in October amid controversy. Legislative efforts in Michigan, Arizona, and Washington state have stalled. The soda industry won a 12-year ban on California state or local soda taxes in exchange for dropping a November ballot measure that would have made it more difficult to enact a broad range of taxes. Former New York Mayor Michael Bloomberg, a long-time critic of the health effects of sweetened beverages, favors Philadelphia’s soda tax and has paid for advertising that supports it and similar taxes. Bloomberg Tax is operated by entities controlled by Michael Bloomberg.